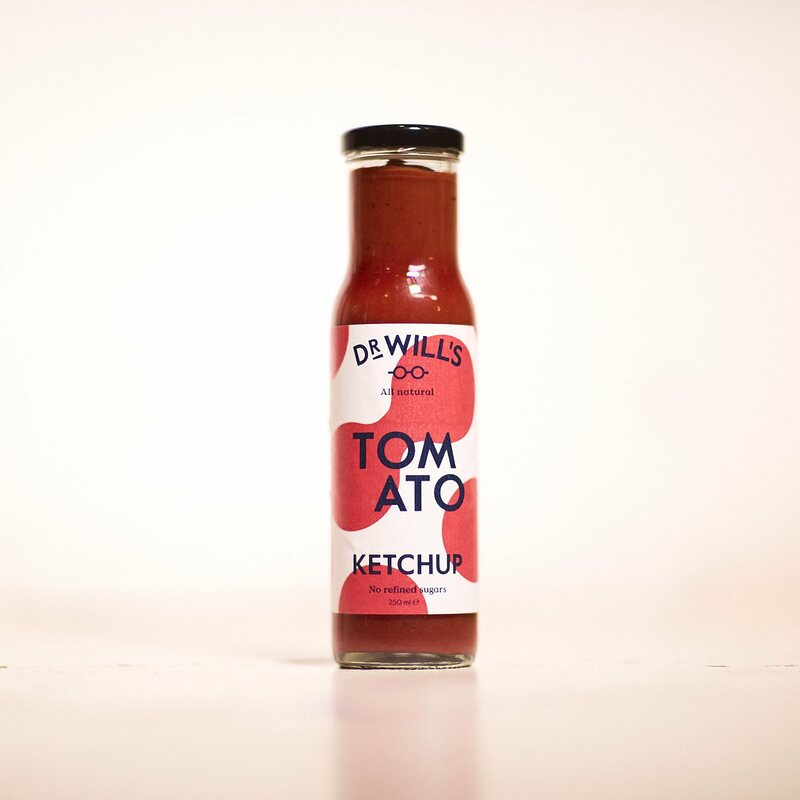 Made with all natural ingredients, Dr Will’s brings you a vibrant, fruity and super flavoursome tomato ketchup. This ketchup doesn’t compromise on flavour despite dodging all the ‘nasties’ - no refiend sugar, additives or preservatives. 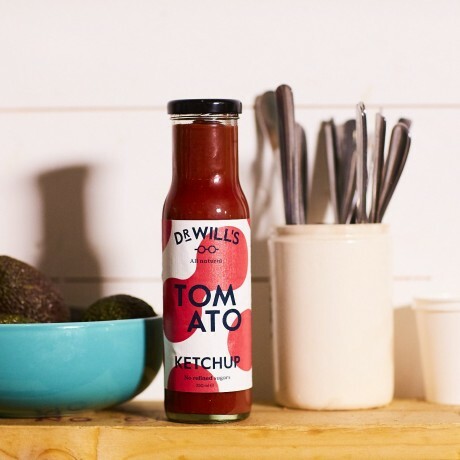 The perfect accompaniment to all your favourite dishes. 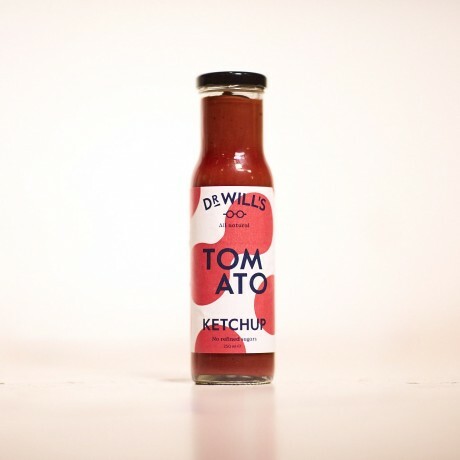 Ordinary ketchup is full of refined sugar, but these sauces only contain sugar from fruits used in the ingredients. This naturally occurring sugar is more kindly broken down by the body and won't lead to glucose and insulin spikes like refined sugar can. Shelf life: 1 year unopened. 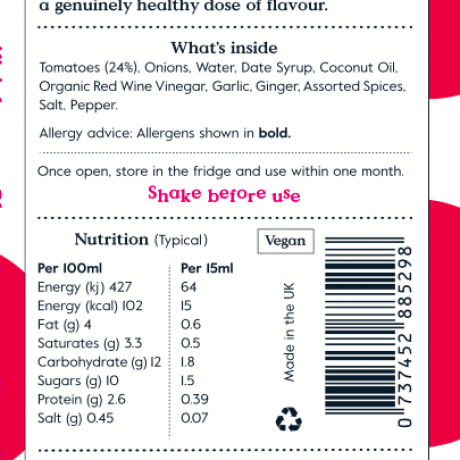 Once opened keep in the fridge and use within a month.